Here we have another decorative item to mark this birthday of your family and friends. 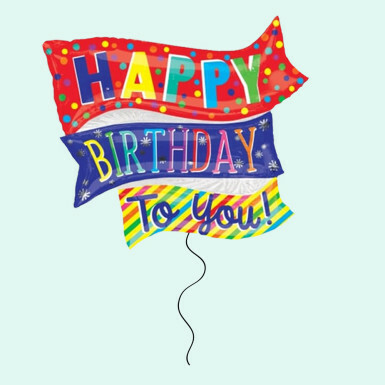 It is a beautiful colorful flag to make the birthday boy, or girl feel special. A big flag looks perfect to decorate the party place. You can even blow air inside the flag to make it the appropriate size for the birthday celebration. Order this designer birthday flag from Winni to mark another memorable day of your family and friends.